Acclaim Jumbo Toilet Paper provides a 2 ply toilet tissue option that is great for any commercial business bathroom or office restroom. This high-quality jumbo roll toilet tissue offers a combination of quality and quantity that few products can match. 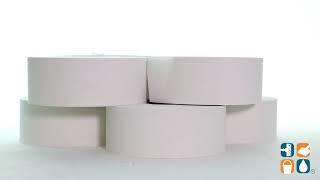 Known for being five times the size of a standard toilet paper roll, Acclaim Toilet Tissue provides a long lasting paper product for a low, wholesale price. Seen as the smart choice for commercial bathrooms, Acclaim offers comfort, absorbancy and strength with each and every use. 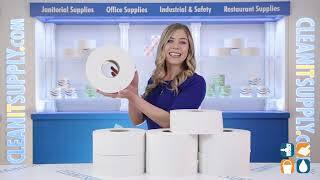 Acclaim Jumbo Toilet Paper comes in 8 - 1,000 ft. rolls.